More than 60 Canadian business leaders, including MaRS CEO Ilse Treurnicht, signed the following letter to Canada’s First Ministers, encouraging them to forge an ambitious clean growth and climate action plan through their continued collaboration. Building a high performance, low carbon economy is a major economic opportunity and a vital environmental responsibility for Canada. As a diverse group of leaders from different sectors and regions across the country, we applaud your initiative in developing the Pan-Canadian Framework for Clean Growth and Climate Change. And we offer our support in advancing smart policies to help seize this opportunity—building on the momentum already mounting across the country. The world’s most advanced economic players are hard at work forging cleaner, more innovative economies, fueled by a desire to compete in a changing global marketplace—one with huge potential to spur growth in all parts of Canada’s economy. Clean technology companies can tap into a fast-growing global market expected to exceed $2 trillion per year by 2020, while resource and manufacturing firms can gain competitive ground by boosting their environmental performance and using energy and resources more efficiently. Canadians also understand they have a responsibility to future generations to do their part in the global effort to fight climate change. And we have begun to make progress in reducing emissions over the past decade, as our economy has grown. Across the country, initiatives by many different governments, businesses and communities are driving a shift towards energy efficiency, greener power, smarter transportation and cleaner production. Now is the crucial moment to build on these successes and expand our efforts. We can meet our Paris climate commitments, grow our exports of clean technologies, energy, resources and other products, and position Canada to prosper in a changing world. “Made in Canada” can be a global brand of clean performance and innovation across all economic sectors. With smart government leadership, that supports Canadians’ sustainability efforts and catalyses private initiative across the country, we can meet this dual economic and environmental opportunity. To achieve these goals will require bold, timely action using a range of approaches. Putting a price on carbon, to reflect the real environmental costs, is the most cost-effective way to reduce emissions, stimulate innovation and drive energy efficiency. Several provinces are already demonstrating that this approach can work for both the environment and the economy. Coordinated Canada-wide carbon pricing, rising predictably over time, can do much of the heavy lifting towards meeting our climate targets. 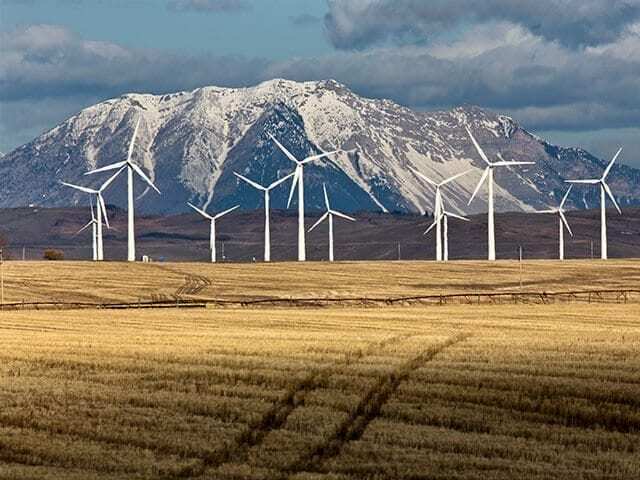 What’s more, the revenues can be used by provinces and territories to advance climate and/or economic goals, including helping vulnerable households to adjust and businesses to remain globally competitive while making the low carbon transition. Equally important in this transition will be a major investment in clean infrastructure. The critical investments we make now in energy, transportation, and urban systems will build the foundation for Canada’s future prosperity. Targeted public funds are also needed to spur breakthrough clean technology research, development and deployment across all sectors, leveraging private capital. And a strong, transparent policy framework should include world class standards for energy efficient buildings, appliances and vehicles; greening government procurement (to lead by example); and training and immigration programs that build the skills for an advanced, 21st century economy. This mix of public policies (incentives, infrastructure and investment) must be ambitious, to drive clean innovation—which is the key to generating climate solutions and securing Canadian competitiveness and jobs in a low-carbon world. It must be inclusive, to ensure benefits accrue to all Canadians. It must send long-term signals, to provide the predictability investors need. And it must be coordinated across governments and Indigenous Peoples, to allow for regionally tailored paths towards a common goal. All these efforts should come together in a national strategy that sets a clear direction, builds on our strengths, and targets key areas of economic opportunity across the country. 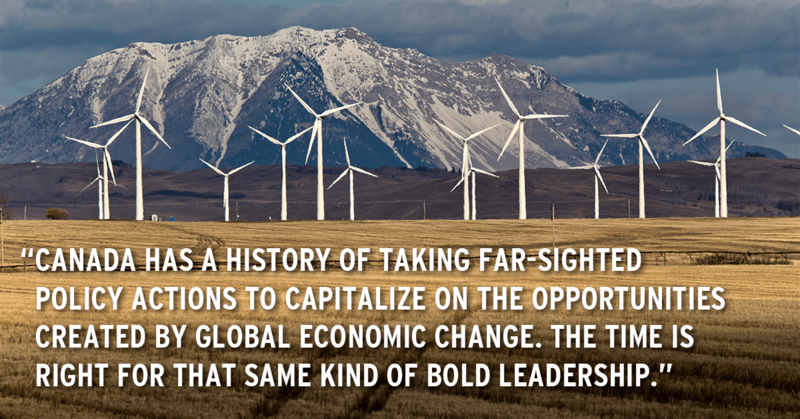 Canada has a history of taking far-sighted policy actions to capitalize on the opportunities created by global economic change. The time is right for that same kind of bold leadership. We encourage the First Ministers, through their continued collaboration, to forge an ambitious clean growth and climate action plan. And each of us commits to join you, leading by example in our own organizations and networks to accelerate this transition. Together, we can lay the foundation for a cleaner, stronger economy, and a better future for all Canadians. Greg Kiessling, Executive Chairman, Bullfrog Power; President, UpCapital Ltd.
Ian MacGregor, Chairman and CEO, North West Refining Inc.
Sean McKay, President and CEO, Composites Innovation Centre Manitoba Inc.